Product prices and availability are accurate as of 2019-04-15 23:29:06 UTC and are subject to change. Any price and availability information displayed on http://www.amazon.com/ at the time of purchase will apply to the purchase of this product. 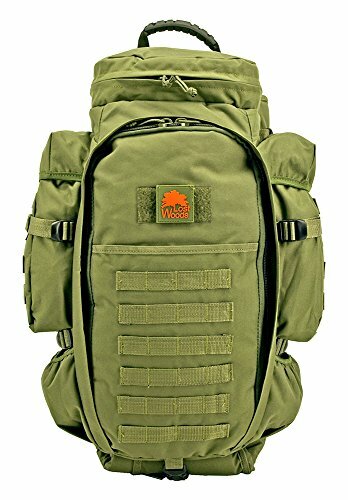 This mixture rifle bag/ backpack is actually an exclusive Lost Forest made bag. It is actually built coming from sturdy 600 Denier rayon textile with double sewn joints. Inside the rifle area, you will definitely discover ample area for your very most cherished rifle. The extendible rifle area may accommodate as much as a 46" long rifle. 1" Molle cobweb is actually situated through the back to include whatever attachments you really want. Body contoured shoulder bands with D-Ring for tools accessory, breast bone band, as well as midsection waistband. Mesh padding pads at the rear offer excellent comfort with the heaviest load. Accommodates Rifles up to 46" Long. 600 Denier Polyester Fabric Construction. High Quality Buckle Hardware and Zippers. Thick Padding to Protect Rifle and Contents. 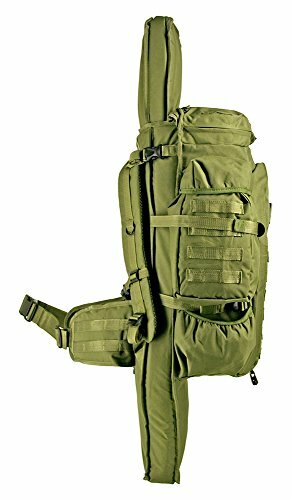 Unique Design Combines Backpack and Rifle Case into One.